The Annual Project Event for knowledge, know how & networking! In its 21st year earned value comes of age. It has recently been announced that EVM will become an ISO standard. For many, the creation of a standard is the reason why they started out on the EVM road. For others it is the starting gun, and for some it is just another step in a long journey. The development and impact of this global standard is just one of the many topics to be covered at this year’s conference. The rise of the PMO and the transition to Agile will be considered along with the emerging challenges and massive opportunities facing Project Managers today. Culture and behaviour are a prominent feature in any eVa programme. This year is no exception. 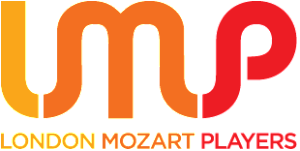 The London Mozart Players will provide powerful insights to leadership, teamwork and tackling conflict. Those who know Dennis Potter’s ‘Blue Remembered Hills’ may have an inkling of how this will play out! 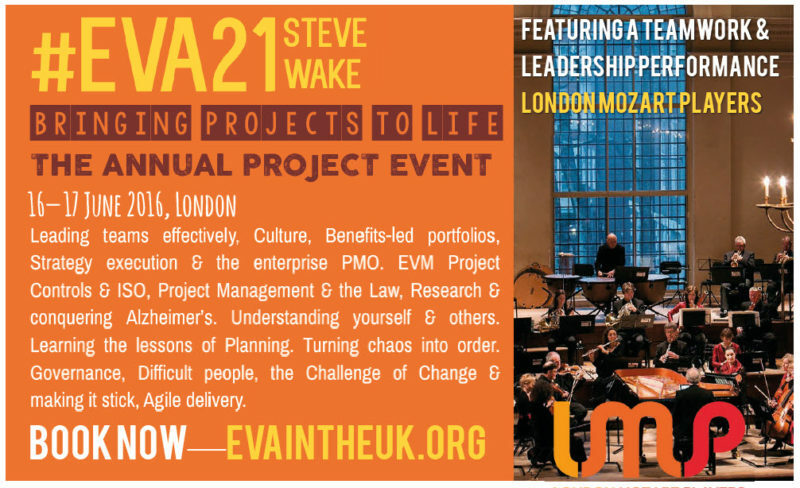 We are delighted that Murray Easton, CBE will be sharing how to tackle cultural change and behaviour on a massive scale from the perspective of someone who has actually done it! For engineers and scientists several cutting edge topics on the two-day programme will be of particular interest. 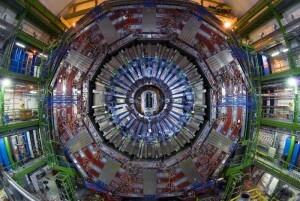 The application of Earned Schedule and how it is fast becoming mainstream, along with fresh thinking on EVM performance measurement based on user experience at CERN. As ever the speakers are selected for the newness of their thinking or the originality of their approach and an avoidance wherever possible of déjà vu. Presentations you see at eVa are normally the first time. And presenters, when they come back, never do repeats. We also invite speakers of influence to give a view on their activity. This year we will hear from speakers; Reinhard Wagner, IPMA and Antonio Rodriguez, Professor Instituto de Empresa in addition to; the NAO, CERN, Saïd Business School in addition to Crossrail, CH2M and BMT. Several of this year’s line-up are heavily engaged in ISO EVM activity but all are more than capable of Bringing Projects to Life.